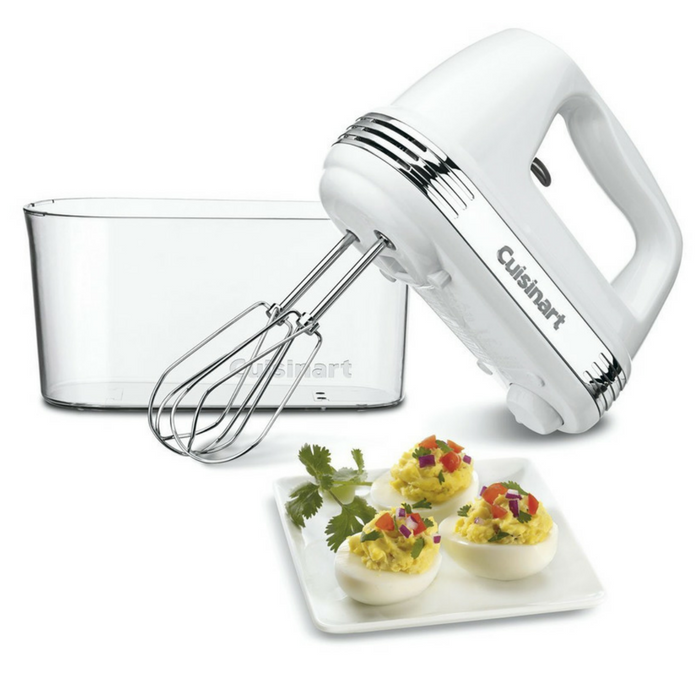 Cuisinart 9-Speed Handheld Mixer Just $64.57! Down From $145! PLUS FREE Shipping! You are here: Home / Great Deals / Amazon Deals / Cuisinart 9-Speed Handheld Mixer Just $64.57! Down From $145! PLUS FREE Shipping! Score this Cuisinart 9-Speed Handheld Mixer at Amazon for just $64.57 down from $145 PLUS FREE shipping! Introducing a hand mixer that’s as easy to put away as it is to operate. The Cuisinart Power Advantage Plus 9 Speed Hand Mixer performs any task a recipe calls for, and then tucks into its own storage case. Once it has mixed heavy batters, whipped up fluffy meringues and kneaded homemade bread dough, just clean it up and put it away. Extra long beaters, chef’s whisk, and dough hooks fit into a clear case, and the mixer snaps on top. Plenty of power, perfect control, and compact storage. That’s a mixer anyone can love.